Miller Ingenuity CEO Steve Blue discusses what agency owners looking to brand or rebrand their business can learn from popular corporate efforts of the past. Coca-Cola learned not to tamper with a beloved brand in 1985 when it decided to re-stage its iconic brand with “New Coke.” The public was outraged and let Coca-Cola know they didn’t want a “new” Coke. They wanted their old Coke, literally a quintessential icon in American popular culture. Coke responded within a few months and brought back “Classic Coke.” Classic Coke sales rebounded. Although New Coke remained on the shelves, it eventually faded from store shelves. Some commentators felt the move to New Coke was a marketing gimmick to regenerate interest and sales in the brand after sales erosion due to the “Pepsi Challenge” taste test campaign. Don Keough, company President, responded to the charge saying "We're not that dumb, and we're not that smart". International Harvester changed its name to Navistar International in 1986 when it sold its farm equipment business and entered the truck, diesel engine, and bus markets. Although the name is “made up,” it broadened the brand and has strong connotations of movement and direction. As a 2013 company report* stated, “Navistar was selected as a name with a strong sound, a resonance to Harvester, and a connection to its root words "navigate" and "star." It does all of those things and has since become the name of the holding company over multiple Navistar divisions, International Trucks, and MaxxForce Diesel engines. Miller Felpax had been family owned since its inception more than 60 years ago. The Miller heritage could not be lost, particularly because his founding products were innovative for their time. However, the full name didn’t have the same meaning as it once did, so we changed one word that encapsulates aspects of our culture, our operating philosophy, and our service to our customers: “Ingenuity.” At the same time, this name placed the company smack in the middle of the position we wanted to occupy in its current and future customers’ minds, an ingenuous company. The new Miller Ingenuity logo strongly asserts that it is a company that invents solutions to customers’ problems, develops products with expert engineering, and knocks itself out to deliver to customer expectations. The classic locomotive is a symbol of the company’s heritage—the forward thrust of the image and the typeface figuratively leans into the future—it’s all about forward motion. In the beginning it was unclear why Jeff Bezos would name a bookseller website, “Amazon.” The story is told that he named it after the river, of course, because of its size. An early logo consisted of a large “A” shape with a river-like line running down the middle of it. And the tagline was: “Earth’s biggest bookstore.” Bezos’ ambitions were as large as the company name, and he eventually developed a business model that would include far more than books. Amazon continues to fit this ecommerce giant now, doesn’t it? No wonder there’s a smile on the box. Other names can be just plain difficult to figure out. When Kraft split off its snack division in 2012, they named it Mondelez. The name has been criticized on two counts. It’s hard to pronounce—what is the correct pronunciation? And, what does it mean? If you are a linguist you might understand the root words for “world” and “delicious.” Maybe. Similarly, Philip Morris renamed itself Altria when it was trying to position the company more as a food marketer and less as a tobacco company. What’s an “Altria”? Not intuitively understandable. One thing is clear: customers or consumers will not work to understand your name. Unless you are a big player with an enormous marketing budget (e.g., IBM, GE, SAP, etc. 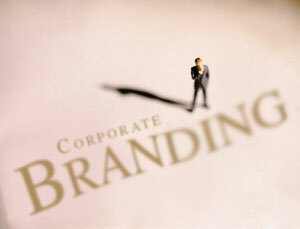 ), avoid brand names that are merely initials. If your initials are well established in the market, still ensure your tagline delivers a branded proposition or benefit. Consider the case of SAP, which is dominant in the Enterprise market and compliments it’s small and midsized business targets with the lines: “The Best Run Companies Run SAP” and “Run Better.” Of course, GE has the marketing muscle and marketplace presence to make big claims. Neither of these brands have re-staged their names but have evolved their brands’ taglines multiple times to reflect marketing objective and market needs. With more than three decades of management, executive, consulting and speaking experience in markets all over the world, Miller Ingenuity CEO Steve Blue (www.StevenlBlue.com) is a globally regarded business growth authority who has transformed companies into industry giants and enthralled audiences with his dynamic keynotes. Follow Steve @MillerIngenuity. The Miller Ingenuity logo is a registered trademark of Miller Ingenuity, Inc. All other logos, marks, trademarks, brand/product names and images are the property of their respective owners.